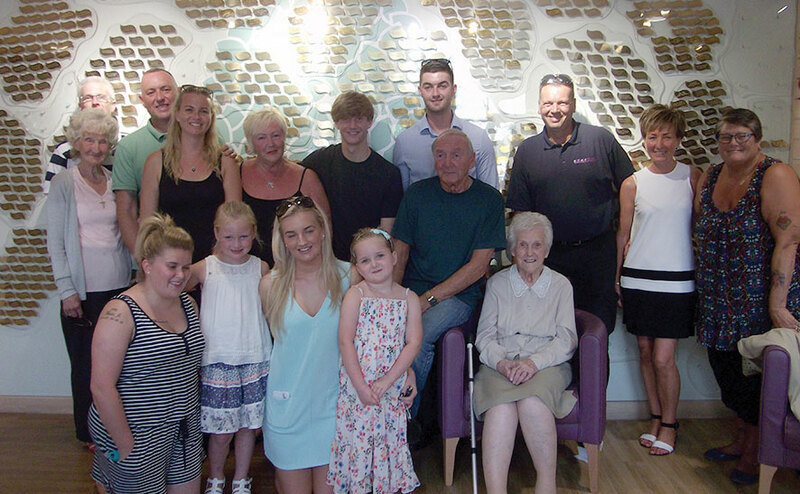 Woodlands Hospice ‘Tree of Life’ was introduced in 1998, to give recognition for people’s fundraising and donations including donations in memory of loved ones, by dedicating ‘leaves’ to individuals or groups of people. As our services grew and we gained more support from the public and community, we introduced a minimum of £1,000 raised or donated in any one year to have a brass leaf engraved and placed on the tree. As we approached the limit of the existing tree we initially thought that we would be unable to continue with it. However due to the overwhelming response from patients, families and supporters we decided to expand the tree onto a second wall in the reception area. This has helped us to meet the ongoing desire by people to have an engraved leaf and to accommodate ongoing pledges. The continuous growth of ‘leaves’ on our Tree of Life, each with its own special message, reflects its popularity and it has become a source of comfort to so many people. “As a family the leaf is a fitting memorial to our Mum who never wanted grand remembrance, but who preferred the smaller more personal things in life. The Tree of Life in Woodlands, a place that cared for her so well in her final days, is so fitting. Woodlands and the wonderful staff eased the family through the pain of our loss and continue to do so. The family take great comfort that we can and do return often to read the leaf and remember in such pleasant surroundings”. 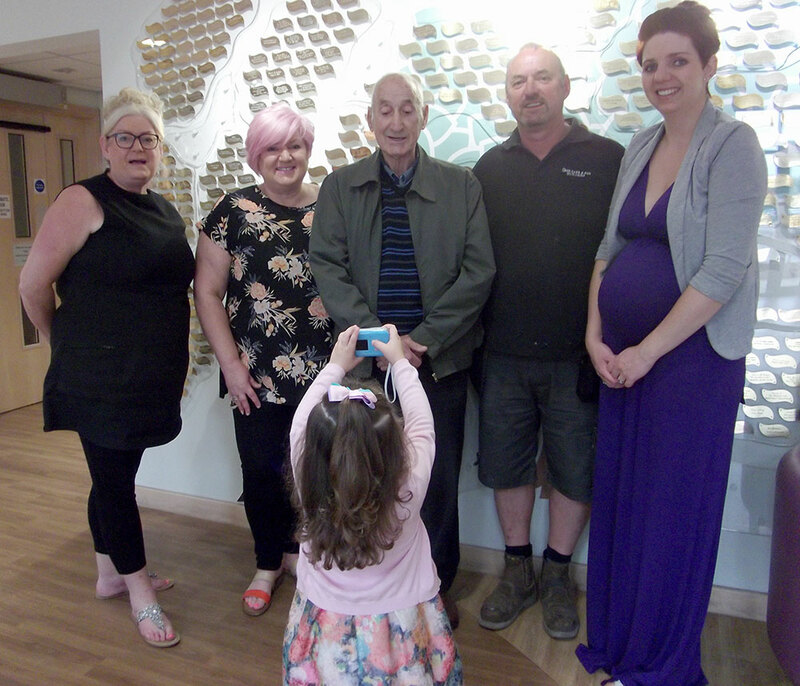 When families come in to the Hospice to put up an engraved leaf on our Tree of Life in memory of a loved one it can be an emotional time, and it is sometimes the first time the family have returned to the Hospice after their loss. On one such occasion the family of Margaret Carr came in to put up their leaf. After the leaf had been placed on the tree we were taking a photo of the family in front of the tree. All of a sudden Margaret’s great grand-daughter Harleigh (aged 3) turned her back, and copied us taking a photo with her own little camera. Her totally unexpected move completely lightened the mood and brought a smile to all our faces during what was potentially a difficult and emotional time. The family have since had a second leaf engraved for Margaret and often visit Woodlands to see the leaves and have tea and cakes or lunch in our café. They said of their visits, “it’s somewhere for family to come and say hello to Margaret”. If you would like express your interest and pledge to have a leaf either through fundraising or donating in memory of a loved one please contact Carole Riley, Individual Giving Manager at the Hospice, on 0151 529 4143 or email: carole.riley@aintree.nhs.uk or print out, complete and return our pledge form. Thank you for your support which is so important to us.